An anchor store is one of the larger stores in a shopping mall, usually a department store or a major retail chain. Shopping malls were first developed in the 1950s. Their developers signed up large department stores to draw retail traffic that would result in visits to the smaller stores in the mall as well. The anchors usually paid heavily discounted rents. Amazon is a river in South America. It is the largest one in the world by discharge of water and the longest in length. A piranha is a freshwater fish with sharp teeth and a powerful jaw that inhabits South American rivers, including the Amazon. If you happen to fall off a riverboat steaming down the Amazon, the piranhas will pick your bones clean. "Amazon is killing lots of businesses. 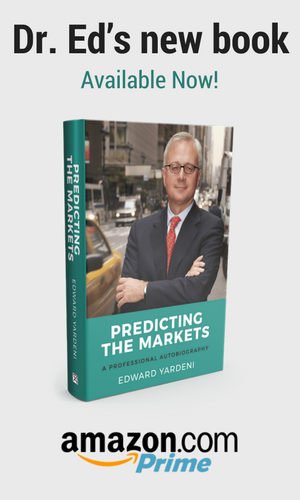 In the process, it may also be killing inflation," Ed Yardeni, noted economist and president of Yardeni Research, said in a recent report. Using Chief Executive Jeff Bezos’ playbook, Amazon has pummeled rivals with price cuts enabled by its smart logistics and relentless drive toward efficiency. Labor-displacing warehouse robotics give Amazon a cost advantage, and it aims to one day deploy delivery drones to extend its edge all the way to the customer’s doorstep. Amazon’s casualty list already is formidable. Over the years, Amazon has left consumer-facing retailers such as Borders, Circuit City and Sports Authority in the dust. Department chains have been closing stores, unable to answer the e-commerce challenge. (4) On-demand & logistics. IBD reported: “Amazon recently was granted a patent for automated, ‘on-demand apparel manufacturing.’ The patent highlights plans to go beyond clothing into other fabric-based products, such as footwear, bedding and home goods. … Amazon is also bringing more of its logistics and delivery operations in-house.” This means that it is aiming to compete with, and eventually chew up, the airfreight, trucking, and home delivery industries. As corporate America outsources more computing work to AWS and other highly automated cloud services, companies buy less hardware and software for internal data centers and cut back on IT staffing. In the March quarter, IBM’s (IBM) hardware business fell nearly 17% to $2.5 billion year-over-year, reflecting the impact of cloud adoption. How do the likes of IBM, Cisco Systems (CSCO) and Hewlett Packard Enterprises (HPE) fight back? By cutting prices. ‘Cloud is deflationary and collapses markets,’ said a Citigroup report in April. "Labor, with 85% deflation in the cloud, has the most significant disruption from cloud economics," says the Citi report. It says 15 IT staffers in a public, shared cloud service can replace 100 in a private data center. In other words, “Death by Amazon” is a plague that will continue to afflict more and more businesses and industries. We can keep track of the mounting body count with a few economic indicators and by reading the business obituary page. In March, online shopping rose to a record 29.7% of all online and in-store sales of GAFO, i.e., general merchandise, apparel and accessories, furniture, and other sales. That’s up from just above 5.0% in 1994, when Jeff Bezos founded Amazon on July 5 that year. Over this same period, department stores’ share of GAFO plummeted from 34.3% to 12.5% currently. The box retailers saw their share rise from about 7.0% in 1992 to peak at 27.2% during January 2014, and ease back down to 25.3% currently. In the nominal GDP data, I see that capital spending on software and on information processing equipment both rose to record highs during Q1-2017 of $346.2 billion (saar) and $334.3 billion. Computers and peripheral equipment, which is included in the latter category, has been virtually flat in both current and inflation-adjusted dollars since Q4-2010 at around $82 billion (saar). This flattening out after rapidly increasing since the early 1980s coincides with Amazon leading the expansion of the cloud business since 2006. Companies don’t need to buy computers when they can sign up for the computing power and storage they need on the cloud, which uses the available hardware much more efficiently.